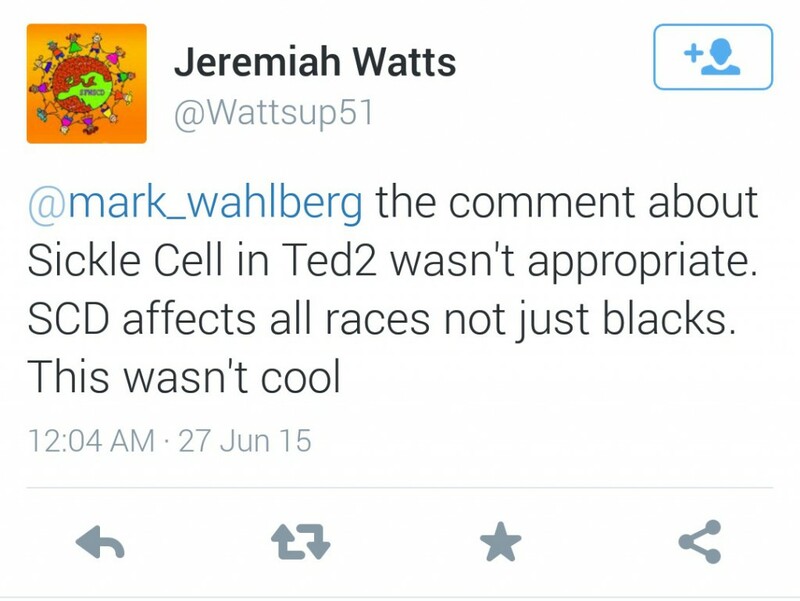 ICYMI, the movie "Ted 2" hit theaters this past Friday (June 26, 2015), but not all movie-goers have found this comedy sequel funny. 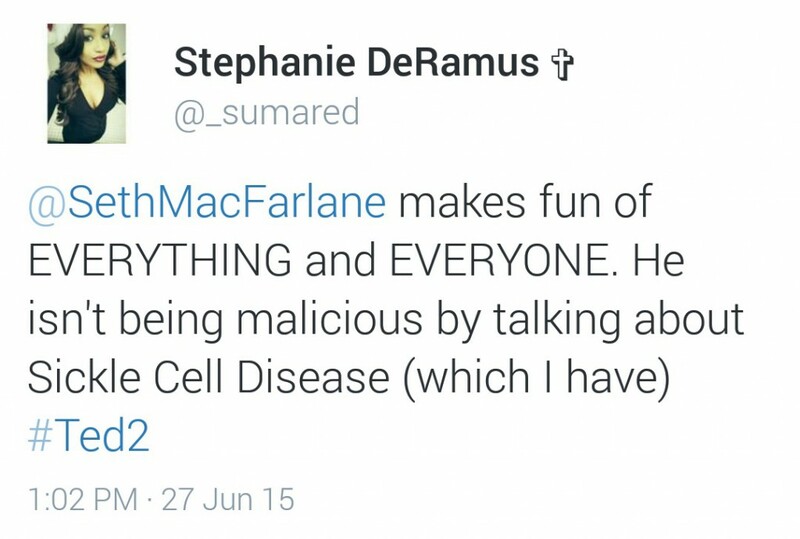 No, not because creator Seth McFarlane's jokes are falling short of being LOL-worthy, rather some of his jokes are rubbing many people the wrong way. 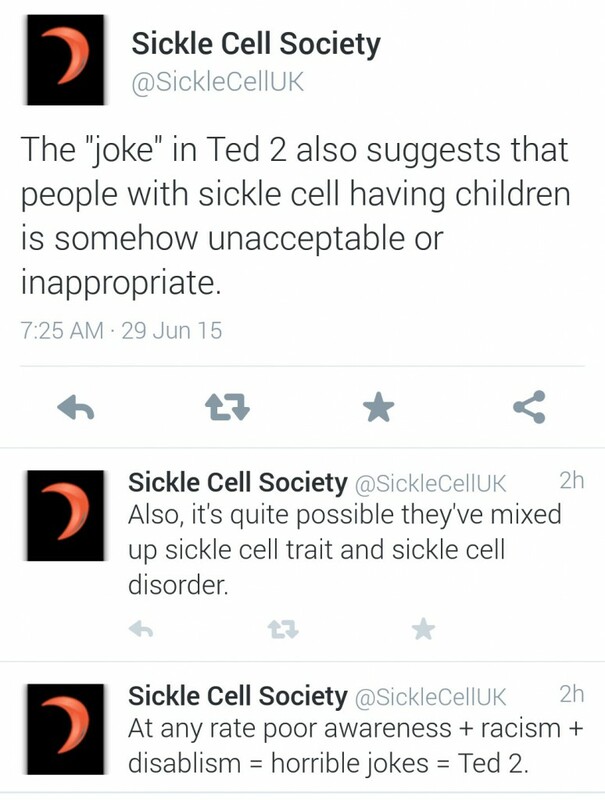 One joke, in particular, has set off some members of the sickle cell community. 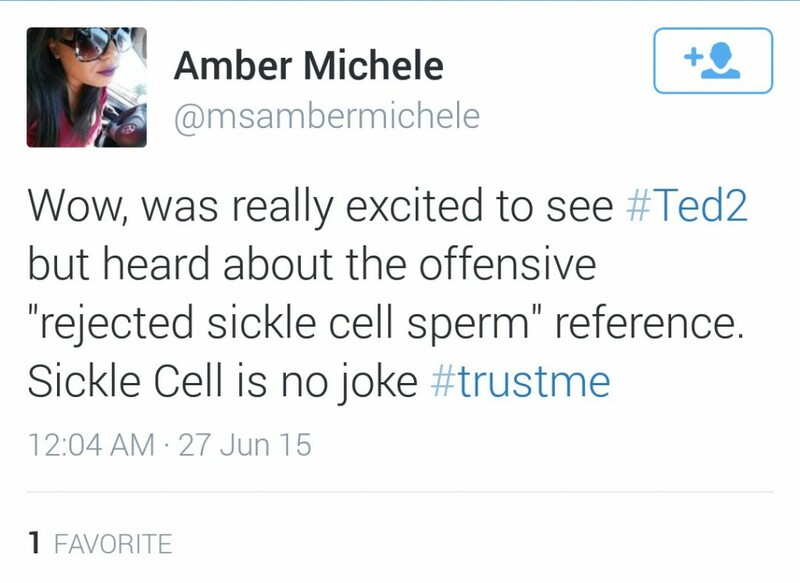 Basically, the joke insinuates that Black men have tainted reproductive capabilities due to sickle cell. 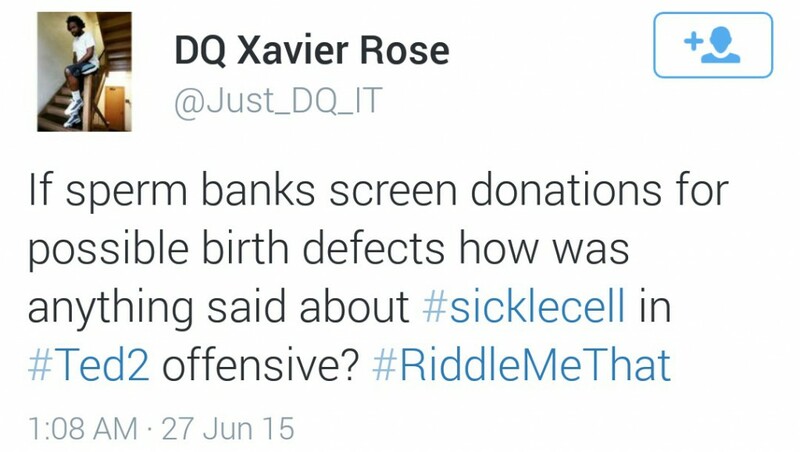 Either way, all of the controversy will probably only help box office sales -- and raise awareness for sickle cell disease. What do you think? Will you see the movie or will you #RejectTed2? Tell us in the comments below! Summer camp is like a right of passage for every child and kids with sickle cell are no different. 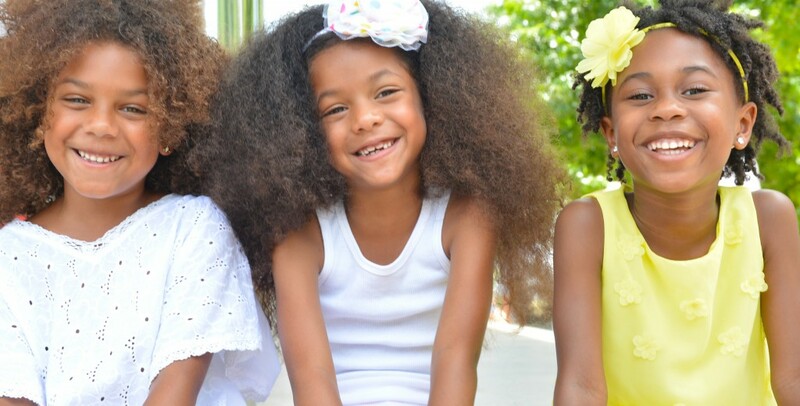 Check out our list of camps to choose from -- that are perfect for kids with sickle cell -- and then, once you've made a decision, rest easy knowing that the time your son or daughter spends there this summer will be their best. week. ever. 1. Their Self-Confidence Will Skyrocket. Besides being around other kids with sickle cell and knowing that they're not alone in their struggles, campers will also have a chance to actively participate in many activities that, outside of camp, they may be too intimidate to try for fear of launching a crisis. Under the guidance of trained staff and medical professionals, however, campers (and their parents) can feel more at ease with swimming, hiking, horseback riding, and so much more! 2. They'll Become Masters of Their Own Fates. A lot of times, your kids can feel like they have no control over their own bodies. If they get too cold, too hot, too dehydrated, or too active, they could go into crisis mode. Before attending camp, just doing nothing can seem a whole lot easier. At camp, though, your children will learn that giving in to fear can keep them from living a fulfilling life. Instead of letting anxiety and worry run the show, campers will gain valuable skills for managing their disease on their own, including how to avoid certain triggers, how to advocate for themselves and obtain proper medical care, and how to cope with SCD as a whole. 3. They'll Embrace a Bright Future. Armed with knowledge and newly revived self-confidence, kids with sickle cell will gain more independence and be able to see that with the proper medical care, they will be able to live long, productive lives. Not only will they practice such independence by doing their part in the camp community, such as keeping their bunks clean and helping to set tables for dinner, but they'll also be encouraged to explore their interests, which could help them discover what they may want to pursue in life: Arts and crafts may unleash their inner illustrator. Computer time may ignite a passion for engineering. Science projects may unearth a hidden talent for chemistry. 4. They'll Have a Blast. 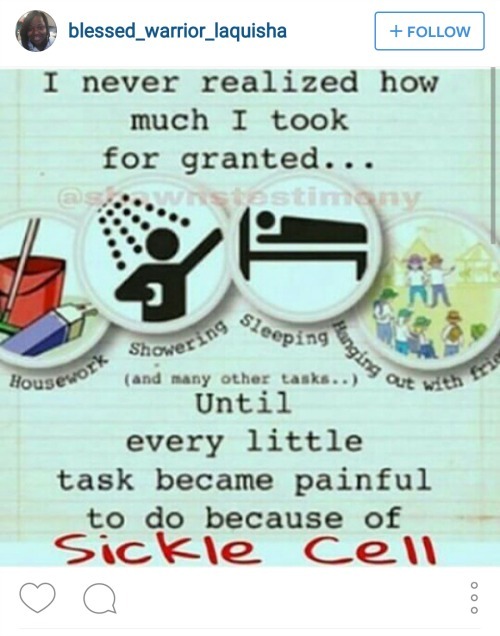 Most importantly, your kids will be free of constantly thinking about their sickle cell disease for a full week. They'll be much too consumed with trying new activities, making new friends, exploring a different place, and feeling a part of something. 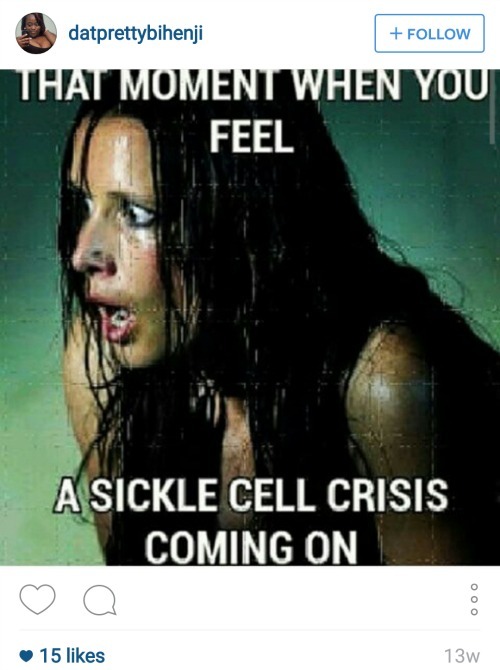 World Sickle Cell Day is Friday (June 19), and as you know, this day is extremely important to the sickle cell community -- warriors, family, and other supporters -- because it gives us an official chance to bring awareness to this disease globally. Educating the entire world may seem like a daunting task, but when you join with others who have the same cause, you can really make a difference. That's why we're bringing you a round-up of four virtual campaigns to join this year. Put all of your efforts toward one or split your campaigning among all of them! The movement behind this hashtag is that everyone should have their blood tested before marriage and/or before having children, so partners can be aware of each other's sickle cell status (or lack thereof). This can help prevent more sickle cell births, thus working toward an eventual future of SCD eradication. 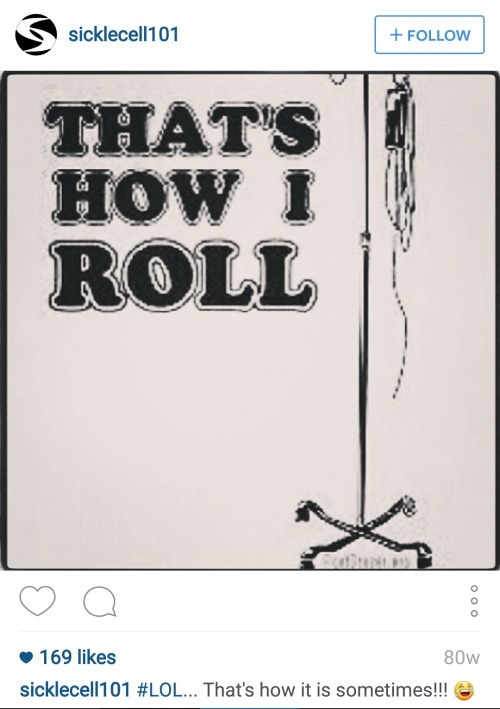 To join, simply post your sickle cell status and/or your SS type to Twitter and tag #KnowYourGenotype. 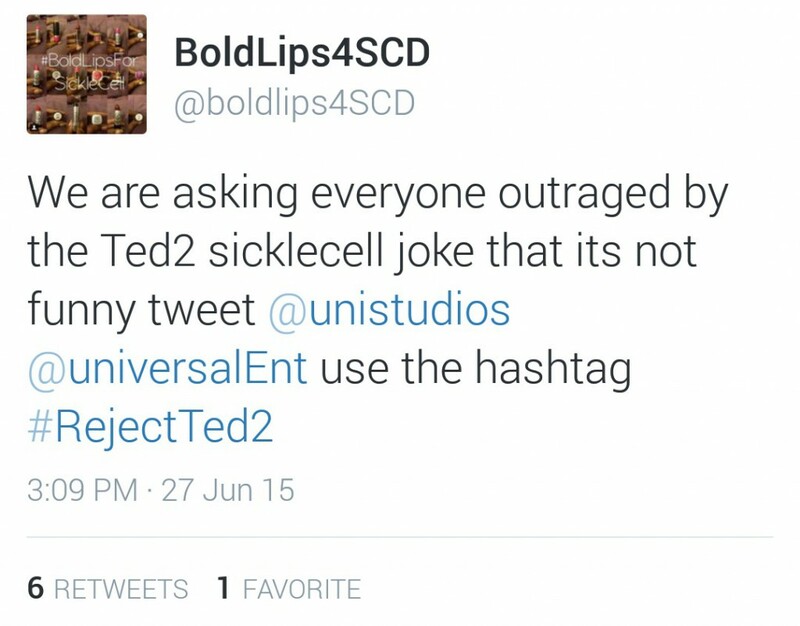 Like ALS's ice bucket challenge, SCD's #BoldLipsForSickleCell campaign can easily go viral -- but to make it do so, we've got to show support and get our friends and family to, as well. Joining this crusade is simple -- and fun! 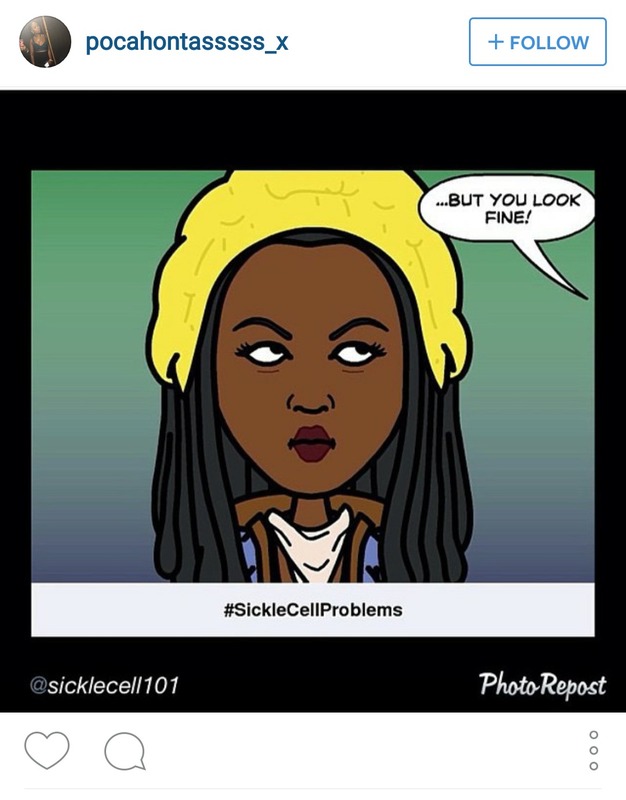 All you have to do is take a selfie of you (or of you and your friends) rockin' a bold lip color, upload your selfie to social media, and tag it #BoldLipsForSickleCell. 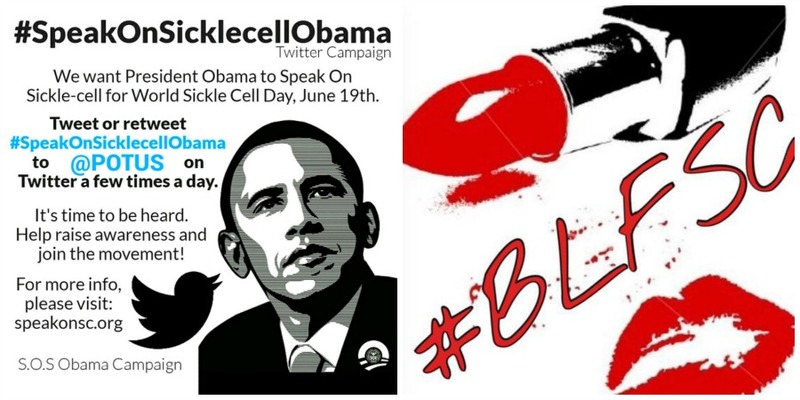 Let POTUS know how important it is that he speak out on SCD in support of World Sickle Cell Day by tweeting and retweeting #SpeakOnSickleCellObama. Doing so several times a day -- especially on June 19 -- will flood his mentions with a powerful message he surely cannot ignore. The American Red Cross makes it easy to start your own virtual #SleevesUp campaign -- or to join one that already exists. Just visit this website, create your campaign, and invite your friends/family/social media community to pledge their support by promising to donate blood to sickle cell warriors. Which of these campaigns are you planning to join? 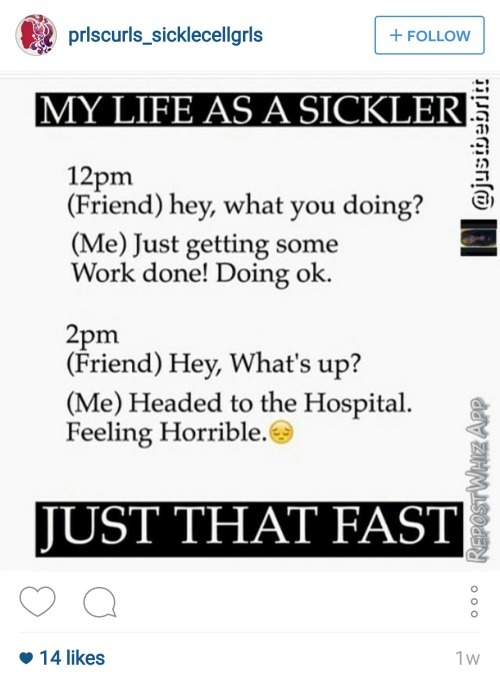 We'd love to see how you help spread awareness this World Sickle Cell Day. When you tag your campaign, also tag @XickleRBC so we can highlight your efforts, as well! Get back to living your life with less worry and anxiety by incorporating cognitive-behavioral therapy into your regular sickle cell treatment routine. The most researched type of behavioral intervention for the management of sickle cell pain, according to The Journal of the National Medical Association, this process works to "modify patients' thoughts, beliefs, feelings, and behaviors" by fusing coping strategies in with traditional medical treatments. One of those strategies is hypnotherapy. For thousands of years, hypnotherapy has been practiced in some form by some peoples -- even children can learn -- however, it wasn't until 1995 that the National Institutes of Health (NIH) officially began to recognize and recommend it as a valuable treatment for chronic pain. 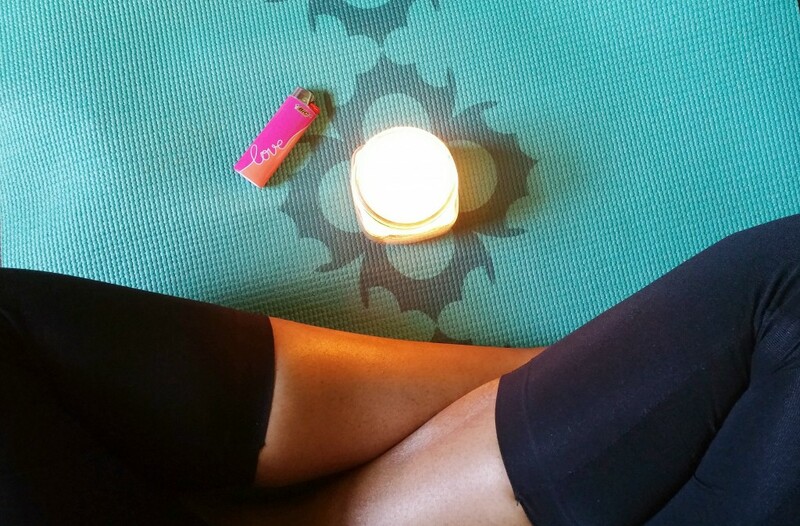 A form of guided mediation, hypnotherapy can help the people who practice it and are open to it to reach a heightened state of consciousness and learn to control their own levels of awareness -- including the awareness of pain. According to Integrative Medicine Insights, "Hypnosis involves a change in the brain's perception." This change can affect the way you experience pain, namely by helping to reduce the severity and frequency of mild to moderate pain episodes. "Since hypnosis is a cognitive-behavioral strategy that has been shown to have a powerful effect on pain management in a number of settings ... a program designed to teach and encourage the use of self-hypnosis may positively impact the pain perception, sleep quality, functional outcomes, quality of life, and satisfaction of SCD patients," continues the article. Paul Van Ravenswaay, a psychiatrist in Washington, D.C. told the Washingtonian in a March 2012 article, "Pain is a sensory experience analogous to hearing and sight. In hypnosis, you can learn to ignore discomfort by focusing instead on a pleasant scene ... Or, the discomfort could be experienced as a different, more tolerable sensation." Sickle-cell patient, Beatrice Bowie, who is also mentioned in the article can identify, as she was taught self-hypnosis by another expert, Daniel Handel, a doctor at the NIH. "Before I started hypnosis, I couldn't cope with it," she told the Washingtonian. After learning this technique, though, she was able to deal with pain episodes differently. "Whenever I am having a crisis, I put earphones on and listen to music. It relaxes me ... I go back to the days when I was happy." So, how can you get started? It's actually really easy, and you don't even have to spend money on expensive self-hypnosis DVDs or CDs. A quick YouTube search can pull up dozens of self-hypnosis videos and all you have to do is find the one that works best for you. 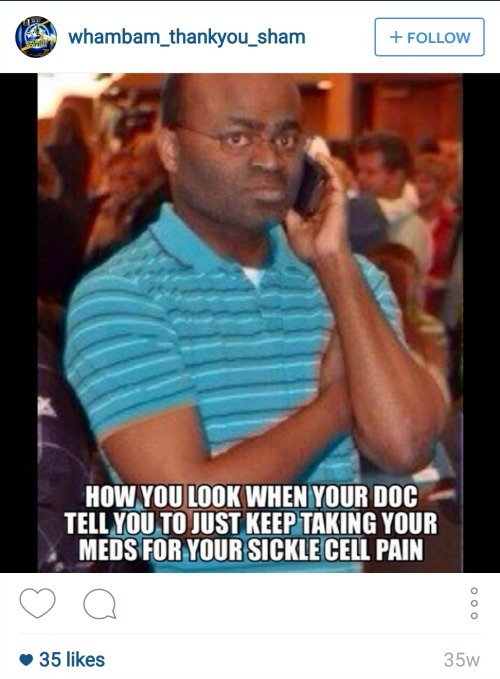 Have you ever tried self-hypnosis to manage sickle cell pain? If not, will you try now, after reading this post? Tell us in the comments below! 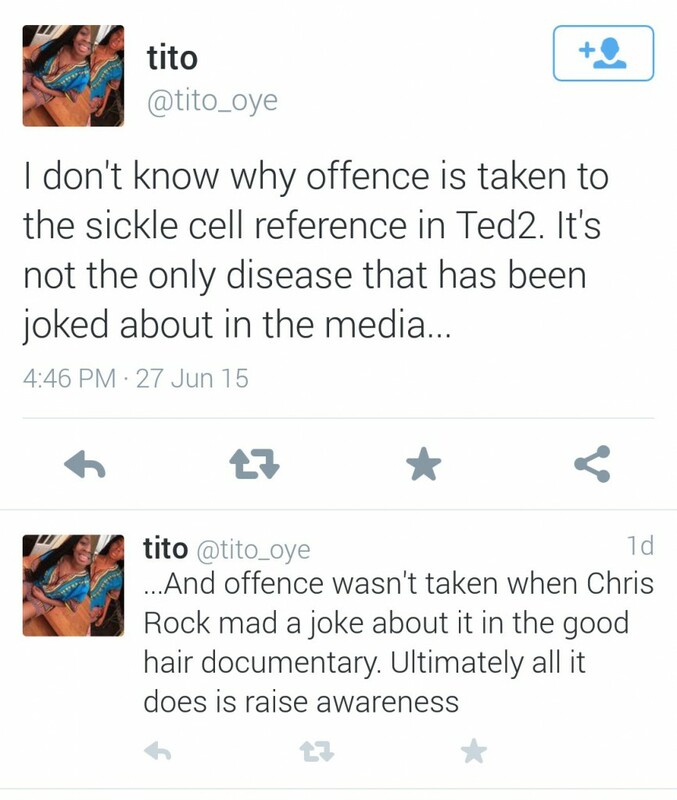 We all know that sickle cell disease is in desperate need of widespread awareness. 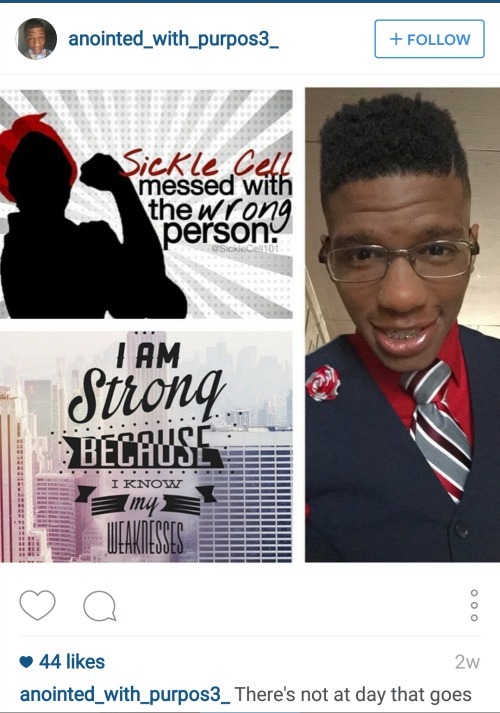 As World Sickle Cell Day approaches, we wanted to take some time out to recognize the warriors and bring to light how many of them feel on a regular basis -- and what better way to do that than to hear from the warriors themselves through the power of social media?